Sprint and T-Mobile shares fell after a Wall Street Journal report cast doubt on the likelihood of government approval of the companies’ $26.5 billion merger . The Journal said that Justice Department antitrust personnel, who are reviewing the takeover, questioned the companies’ reasoning for it in a meeting this month. The report said the government and the companies are still talking. It cited people familiar with the matter. 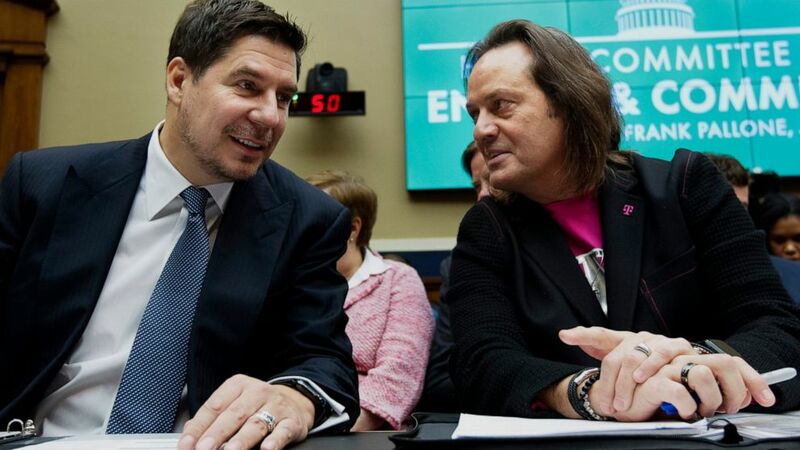 T-Mobile CEO John Legere tweeted that the premise of the Journal’s story, “as summarized in the first paragraph, is simply untrue.” That paragraph states that Justice Department staffers told the companies the planned merger is unlikely to be approved as currently structured. The Justice Department and the Federal Communications Commission must both approve the deal. The companies argue that the combination will lead to better “5G” service, the next generation of wireless. They’ve also promised to create U.S. jobs and say they will compete with cable companies as well as Verizon and AT&T. Public-interest and labor groups have raised concerns about wireless price increases and job cuts. The Obama administration rebuffed the companies’ earlier effort to merge, as well as an attempted deal between AT&T and T-Mobile, on concerns such deals would hurt competition in the wireless industry.